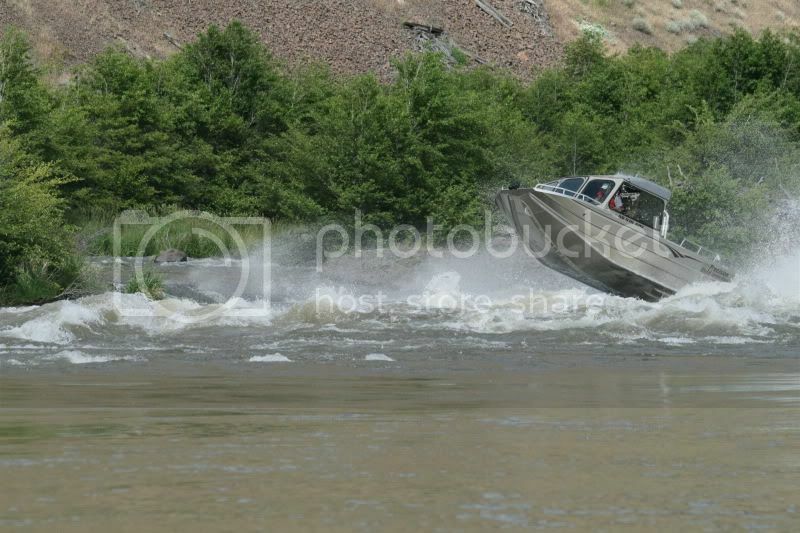 River Jet Boating Forum • View topic - Deschutes or John Day Runs? Deschutes or John Day Runs? Anyone interested in running the big D, or John Day soon? Re: Deschutes or John Day Runs? Yes, but my dance card is pretty full between now and the May Rogue run. I'm running the JD tomorrow, but want to do the D again soon. I've been up the D twice, and twice on the JD as well. Where are you putting in on the John Day? You don't hear the name Dean River often. The only one I know of runs into the ocean at Dean Channel on the BC Canada coast. Cottonwood. I have a place on the Upper Dean River, 42 miles downriver from Anahim Lake, and have fished it for 45 years for trout and steelhead. My 11 year old son is named River Dean. It's in our blood. Sweet, I had a good buddy that fished the dean for steelhead for years. He had a heart attack and drowned about 7-8 years ago while on the Dean. How far up or down do you run from Cottonwood? I'm assuming you only run that area at higher flows? Are there still steelheaders plying that (JD) water? You can run down around 20 miles. McDonald crossing is around 14 miles downriver from Cottonwood, and is the last take out for drifters. The river is open from October 1st until April 30th. Water level permitting. It's rare to have enough water to run it inthe fall and winter. Eagle 1, I'm sorry to hear about your friend. I've had my share of close calls on the Dean myself, but as I used my float tube, I always wore a lifevest. I made 24 trips by helicopter into the lower river over the years to fly fish for steelhead. Salmon and steelhead can't get as far up river as my cabin, due to a couple of falls they can't get past. Wolves, grizzlies, moose, and caribou, and beavers etc abound, as well as blue ribbon trout fishing. I had a nice run on the John Day. Lots of bird life, ducks, geese, golden eagles, chukar, herons, etc. No other boaters. Saw quite a few backpackers and hikers. 4200 cfs and rising. Hope to get out again in the next few days. Sounds like a great run. How big is your boat? When you launch at cottonwood how far up and down river can you go? I am curious as I would like to try that some day. I grew up on the middle fork of the John day river. Dean River is amazing. My aunt and uncle used to operate a hunting/fishing business in BC and had a fishing lodge at mouth of Dean and hunting lodge at Moose lake. You can't run up from Cottonwood, only down. Were your relatives the Blackwells? I ran into them a few times over the years, but never spent much time at the mouth of the Dean. They guide on the Upper Dean up river from my place, if I remember correctly. Thanks. Yes, the Blackwells. They have pretty much retired at this point. The way I read it was that the right time of year you could run any part of it you were brave enough to tackle. I will have to try and find that description again. Would love to come over some day and give it a go. Edit: As usual I was mistaken. Looks like cottonwood to Clarno is a no go all year. I have floated Service Creek to Clarno. Its easily doable at spring levels. Be interesting to see what upstream of Service creek looks like.